At least 35 people have died since Thursday, when Khalifa Haftar – head of the Libyan National Army and its eastern forces – gave the order to retake Tripoli, home of the internationally recognized Government of National Accord (GNA) led by Fayez Al-Sarraj. As the conflict escalated on Sunday, the GNA launched a counteroffensive called “Volcano of Anger” and vowed to drive out Haftar’s forces and reclaim any territory under his control. GNA military spokesman Mohammad Qannouno said Haftar’s attack was an attempt to overthrow the legitimate government of Libya. “We will not allow the militarization of the state,” he said. Twenty-one of the fatalities and another 27 injured were reported by the GNA Ministry of Health, but it was unclear if and how many were civilians. The other 14 were members of the LNA, which Haftar claims is liberating Tripoli from militia groups he has urged to surrender. The Haftar advance comes just weeks after Libya’s competing governments agreed to elections that were planned for last December but postponed as the security and humanitarian crisis continued. Meanwhile, the LNA has extended its territorial control in the south and then west. It also comes ahead of a national conference planned in Ghadames beginning April 14. The United Nations, the League of Arab States, the African Union and the European Union all have affirmed their support for that process, which is meant to lead to national unity and resolve at last the political and security crises that followed the removal of Muammar Gaddafi in 2011. Al-Sarraj, appearing on Libyan television, bitterly rebuked Haftar for breaking a covenant that saw both leaders agree to move the process forward with elections in 2019. For his part, Haftar said one week ago that Libyans would see the years-long crisis resolved within two weeks, with a cynical reference to forming a government of national unity even as his troop movements were closely watched. The move also calls into question Haftar’s commitment to forming a civilian government, which he agreed to earlier this year despite his many claims that military leadership and security are a priority. The governments of France, Italy, the United Arab Emirates, the UK and the United States all called for the Libyan parties to de-escalate tensions on Thursday, which was followed by a statement from the G7 – adding Canada, Germany, Japan and the EU but without the UAE on Friday. The United Nations Security Council met in an emergency session on Friday afternoon, with current council president Christoph Heusgen of Germany calling for an immediate end to military action. 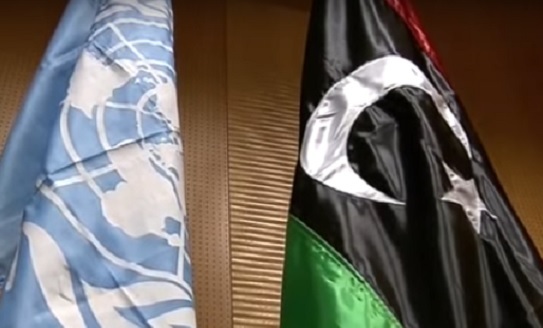 The United Nations, which has backed the GNA and the Ghadames conference process, affirmed its commitment during a visit by UN Secretary General António Guterres – one that coincided with Haftar’s defiant and unilateral move. Some have interpreted that Haftar move as intentionally insulting to the UN as well as the GNA, which has come to be viewed by many Libyans as weak and ineffective. That pathway has never been clear, despite last year’s efforts by both France and Italy to broker a peace deal that would at last move Libya forward. In the meantime, the relentless suffering of the Libyan people and its migrant-transit populations continues unabated in a violent failed state where the misery deepens no matter which diplomatic actor – including Haftar-friendly Egypt – is pressing its advantage. Egypt too says it wants to avoid a military solution in Libya, but the many calls from the international community have failed to elicit a positive response from Haftar, with the GNA now committed to military action in defense. The instability prompted U.S. troops normally tasked with diplomatic support and counterterrorism roles to be temporarily relocated away from Libya in response to the escalation. What happens next is unclear. UN officials say they intend to move forward with the three-day national conference in Ghadames, which is set to begin next Sunday, but whether that’s a realistic goal in light of the developments is questionable. It’s hard to imagine how Haftar’s decision to try and seize Tripoli by force will have any other outcome except to derail a Libyan unification process, and it’s harder to imagine that’s not precisely the point.